This preview of Saturday's game has been written by our genius guest blogger Anna. Welcome Anna. Saturday at the Valley, weather and pitch permitting should see the visit of I'm Barmy Itching, the midlands team. We ought to be full of optimism because they are in a bit of bother. However, we can more than match them in the terms of a club with problems. Where we will probably see a major difference is between the two keepers. Our former keeper, Plan Or Hard Nerd, left us when he wasn't getting a chance of regular football and after a spell north of the border has moved to Itching and looks good. In between the sticks for us is a keeper that we neither needed nor if truth be told wanted. Ho-Hum An Unreality doesn't seem likely to follow in the footsteps of a beloved recently departed Gallic hero in the legend stakes. With his tendency to punch rather than catch then it's likely that Itching will be aiming balls into the box for Laicizing Ok to cause all kinds of problems for our seemingly hapless custodian. We are fortunate that following last weekend's injury to Why I Grossing that Nicer Advice is still with us and able to deputise or will he ? Folk may recall that Chris opted not play a recognised left back at Doncaster recently preferring to give that honour and a full debut to young Horny N Learn. One of our other young players who has distinguished himself with good, consistent performances this season must be hoping that he'll be playing in his preferred position of central midfield. However, Son's Junior Cad will probably have to wait and see like the rest of us. Following all the recent departures and arrivals it's hard to predict the make up of the side. Will our new Polish player start ? Surely he has to be on the bench at least ? He sounds the most promising of our new players so much so that doubt has surfaced if he was really purchased for us or is he, in fact, destined to feature more regularly in the land of beer and chocolate ? Such cynicism from our our very own, give yourselves a slap. You can rest assured that our Polish striker will be happily plying his trade at the various outposts of League One next season. I've resisted the obvious temptation to mention some of our other new players such as Nag Arch John Doe Haze ( I know disappointing isn't it ! ) much as it was temptation for me. I don't know why I'm inexplicably drawn to it ! Perhaps we can market an Addicks version of Scrabble that permits the use of names, I'd love to have a couple of our current players on a triple word score. 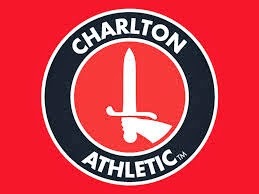 Never mind the vast amount of points that would garner all we want for Saturday is to bag an important 3 points for That Narcotic Hell that is Charlton Athletic. Most silly Daggs ? I fear you're right. I'm not going to let Anna write for this blog anymore. People come here erudite and insightful comment and this has fallen below the normal standard. I'll be more selective in future. Next week's guest reviewer, John Lawson. Ah! good.............er, you going to think i'm stupid now, but.........who's John lawson ? ?